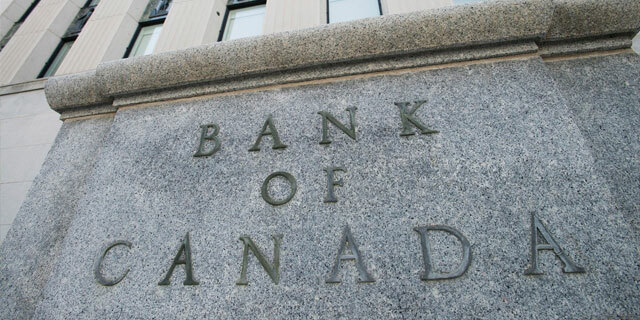 The Bank of Canada (BoC) kept its trend-setting interest rate steady at 1.5 per cent on Wednesday but appeared to keep the door open to a possible rate hike at its next meeting on Oct. 24. Higher interest rates “will be warranted to achieve the inflation target,” Canada’s central bank noted in a statement accompanying its rate decision. Still, the bank added it is “monitoring closely” the evolution of the current NAFTA talks, which resumed today in Washington. “An October rate hike looks highly likely if, as we expect, we have the makings of a NAFTA deal by then,” Avery Shenfeld, chief economist at CIBC Capital Market, wrote in a note to clients shortly after the rate announcement. Economists had widely expected the BoC to keep rates on hold in September after raising rates in July and January of this year. Although consumer price inflation climbed to three per cent in July, which is above the BoC’s target of two per cent, the central bank noted that the increase appeared transitory and driven largely by costlier airfares amid high gasoline prices. Inflation should move back toward two per cent in early 2019, it said. The central bank also noted the strength of recent economic numbers, with GDP rebounding to a robust 2.9 per cent growth in the April to June period after a softer start of the year between January and March. Despite the uncertainty around NAFTA, the BoC appeared to take comfort in the fact that business investment and exports are increasingly stepping in as engines of economic growth. Meanwhile, the bank said, the housing market has begun to stabilize after higher interest rates and changes in housing policy like the tighter federal mortgage rules that kicked in on Jan. 1. Canadian families are also adjusting to higher interest rates, with the household debt-to-income ratio beginning to edge down, the bank said. At the same time, a healthy job market and higher wages are helping to support consumption. The central bank has been gradually raising its key interest rate over the past year from a low of 0.5 per cent in July of last year.